Here's another one from the Blue Ridge Mountains. Peaceful looking. Looks like my neck of the woods. I have been to Maggie Valley. It's been a while tho. I have always said you post the best work on here. This is my "neck of the woods" for I was born and reared in East Tennessee about 90 miles away. 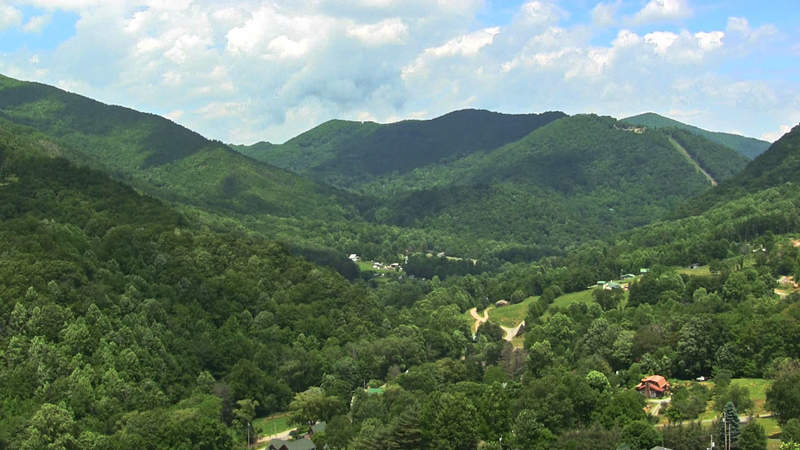 My wife (Thai) and I were married in Gatlinburg and during that week, we spend two nights in North Carolina, one in Maggie Valley and the second in Cherokee where we saw "Until These Hills". Since I have lived in Thailand for thirty years, I sincerely appreciate your work as much, if not more, than anyone because it brings back such fond memories. lowellbstrong, thanks... glad I could bring back some good memories. This was taken from the "most photographed" platform at the GreyMare store right outside Maggie Valley on the way to Cherokee. It's on the right when you pass the Ghost Town entrance. Funny, they still only charge $.50 to use it. I think I was where you filmed this about 3-years ago! Too cool. Tennessee is a beautiful area.